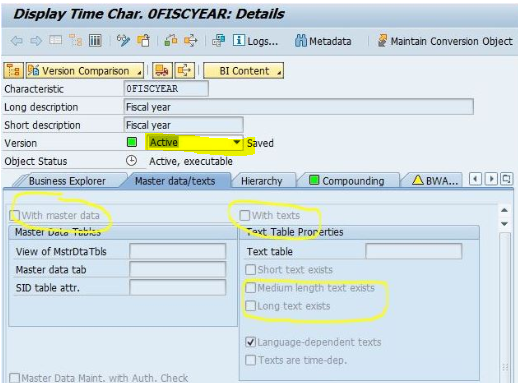 How to get rid of Runtime Error that occurs during execution of Planning Query in BW? When executing some planning query it runs into error with the exception named below. The issue might occur when executing the query through BEx Web, BEx Analyzer or via transaction RSRT. 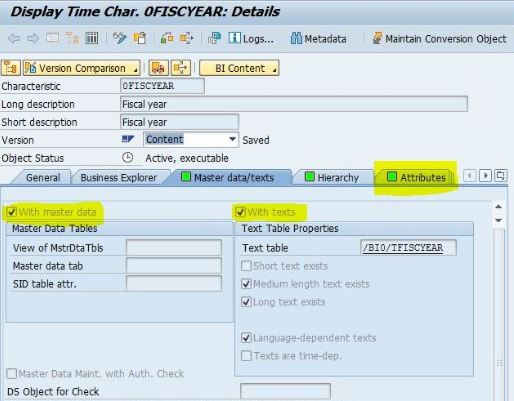 For certain special characteristics such as 0FISCYEAR, 0FISCPER below error might occur when executing some planning query. The dump is triggered in method FILL_SIDS in class CL_RSR_TIME_RELATION_HDB. The main cause behind the error is that the master data and attributes of infoobject 0FISCYEAR are missing in the active version.The content and the active version of the infoobject differs in structure. If the active and the content version of the above special characteristic are not the same, the symptoms mentioned previously can occur. In order to solve the error please check characteristic 0FISCYEAR and ensure that it is defined the same way as its corresponding content version. You can check this by comparing the settings of the content version with the one of the active version in transaction RSD1. If there are differences, you will have to reactivate infoobject 0FISCYEAR from the Business Content. Display infoobject -> Click on button BI Content -> Copy Infoobjects -> Subsequently Activate​. Now if you run the query again , it will run succesfully.